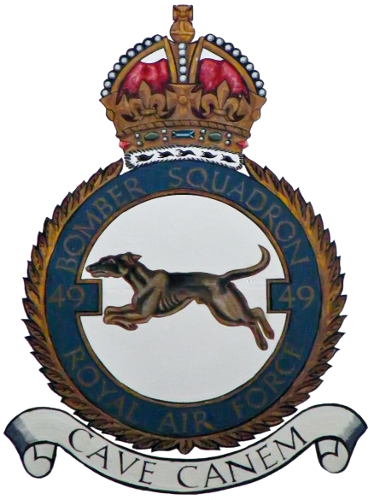 Welcome to the website of the 49 Squadron Association. The aim of the website is to provide a source of information for anyone with an interest in the history of the squadron and the personnel who served with the squadron. The squadron badge is displayed by kind permission of the Ministry of Defence. Although the Association has close links with the RAF, the contents of this website are not offically endorsed by the MOD. The Association hopes that you will find these pages informative.